Sara Minnick-Lujan has lived all over the country – but Albuquerque is the only place that feels like home. The San Diego native started her career with a job in the hospitality industry when she was just a teenager. She worked in hospitality operations for many years, and her work allowed her to live in several cities across the U.S.
“Of all the places I have lived, I adore Albuquerque. I love the business rhythm here and how the community is so authentic with one another,” says Sara, who married a native New Mexican and has lived here on and off since 2003. Sara’s role at Comcast bridges her past experience in hospitality with her expertise in multi-family development. Xfinity Communities works with property managers, single- and multi-family housing associations, college campuses, hospitals and others to ensure residents and visitors enjoy the fastest Internet speeds available. 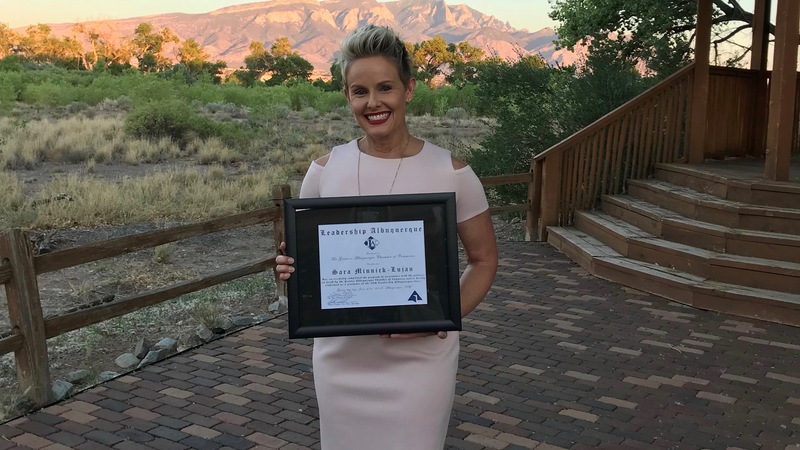 Sara recently completed Leadership Albuquerque through the Greater Albuquerque Chamber of Commerce. 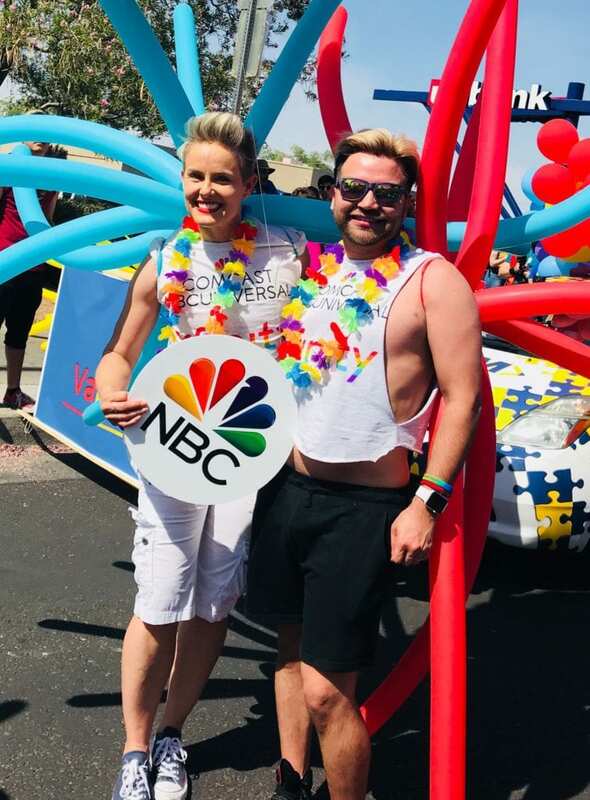 Sara is also one of the leaders of New Mexico’s OUT at Comcast, an Employee Resource Group (ERG) focused on contributing to a workplace environment that is LGBTQ-aware and inclusive for all. Comcast’s ERGs are dedicated to growing and developing the careers of employees. ERGs are voluntary, employee-led organizations that contribute to community service and build a more collaborative workplace. I love sports! In the winter I spend a lot of time snowboarding. I am also a triathlete. I love to cook and spend time with my family. Our kids are 8 and 12 and both my parents and my in-laws live here. We love to travel together and have adventures across New Mexico. What’s your favorite day trip from Albuquerque? That’s a tough one, but if I had to choose I would go through Jemez and follow the river up toward Los Alamos. I would stop in the Valles Caldera for some backcountry hiking and then head home through Santa Fe, stop for dinner, and then head home.